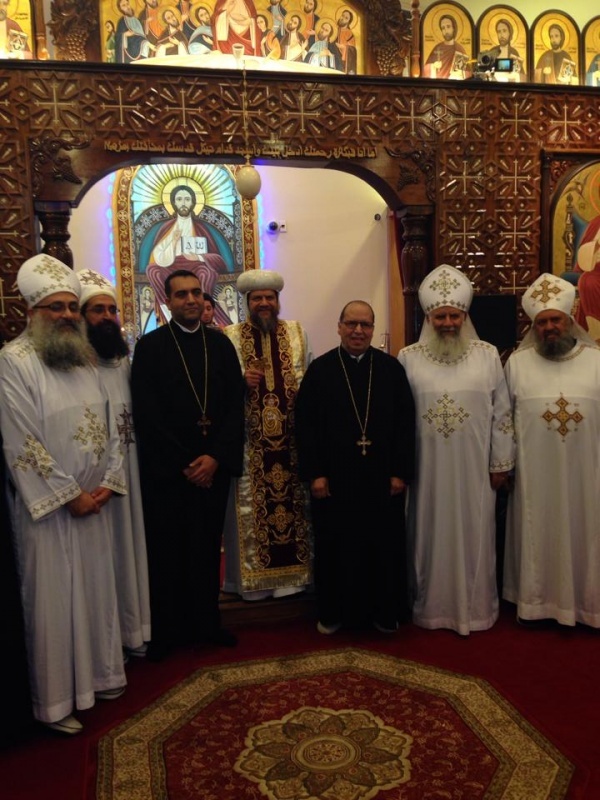 On Saturday, November 9, 2013, His Grace Bishop Serapion laid hands on and ordained the blessed servants, Philip Maher and Farouk Wissa, as Deacon Raphael and Deacon Arsanious, respectively, at St. Abanoub and St. Antony Church in Norco where they will serve. Attending the ordinations were Fr. Michael Gabriel, Fr. Macarius Shehata, Fr. Ishak Boulos, Fr. Mina Girgis, and Fr. Antony Selim. God willing, on Sunday, November 24, Deacon Raphael will be ordained a presbyter to serve in the same church. May God bless the service of the new deacons and grant them the fruit of the Holy Spirit.